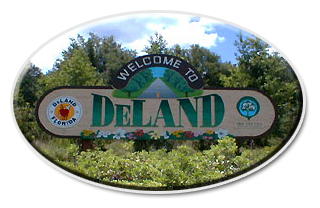 VisitDeLand.com contains information about events, news, local businesses, entertainment and local life in Deland, FL. What to do in DeLand? Glad you asked. Eat in our world famous restaurants, stay at our hotels, and tour Downtown DeLand. Feeling Adventurous? Jump from the skies in SkyDive DeLand. Have a business in DeLand area, contact us so we can include it in our website.